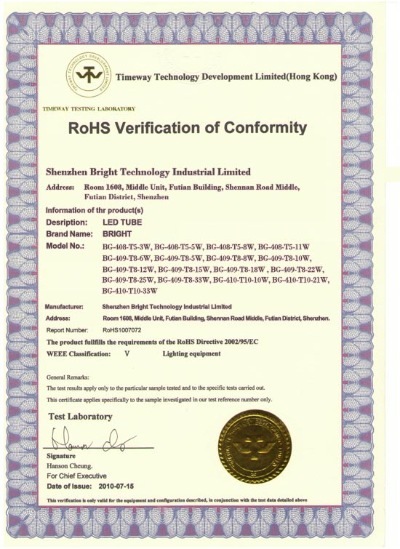 Company Overview - Shenzhen Bright Technology Industrial Ltd.
9YRSShenzhen Bright Technology Industrial Ltd. Bright Technology Industrial Limited is a Hi-tech enterprise specialized in LED industry, which integrates research, producing, selling, post-sell service and so on. We have an experienced technology team and marketing group. We always bear in mind the operational principle of integrity, innovation, mutual interest & respect. Thanks to our staffs' hard work and our friendly customers' help, we have made a dramatic progress in the past years.Technology is key to energy saving. 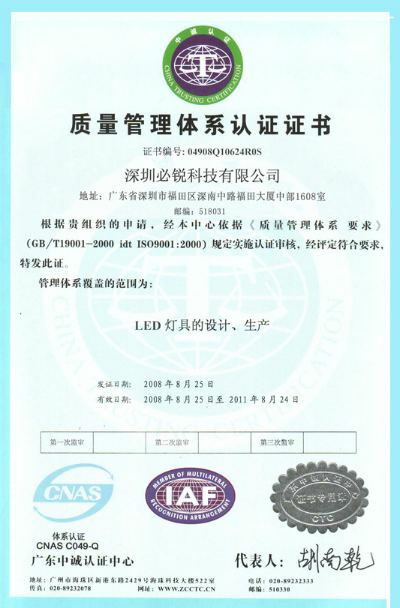 Our company persists in researching and developing new technology for the LED products applied in different conditions. 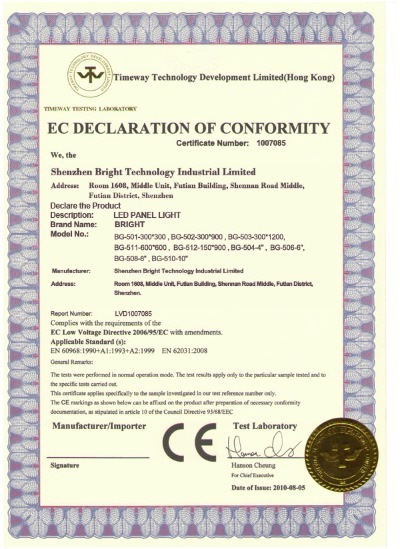 Currently, we have a series of LED lights with independent patents.All our products are produced according to ISO9001 standard. Our new products are spotlights, LED tubes, digital tubes, pixel lights, tunnel lights, LED projectors, LED road lights and others. 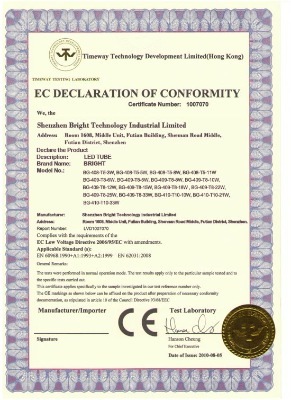 Our products are widely used in city scenes, office buildings, industrial zones, bus stations, metros, schools, hospitals, markets, communities and other locations.Based on advanced technology, superior product quality, lower cost, large market share, punctual delivery and excellent service, our company has taken a solid first step and is aiming to become the leading role of LED industry in China.We are now in the period of fast development, willing to establish firm and sustainable partnerships with technology organizations. We believe our cooperation will bring us a brilliant future.